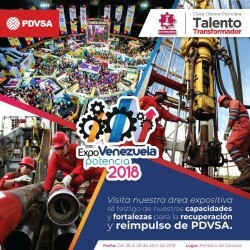 Diques y Astilleros Nacionales C.A., filial de Pdvsa Naval, formará parte del grupo de empresas del estado que participará en la Segunda Edición de la ExpoVenezuela Potencia 2018, que se llevará a cabo desde el 26 al 29 de Abril en el imponente Poliedro de Caracas. La industria pionera en Reparaciones Navales DIANCA, presentará un stand donde darán a conocer potencialidades, nivel productivo, información técnica, innovación y proyectos que se desarrollan actualmente en la estatal naval, que en los últimos cuatro años desde la gestión encabezada por VA. Franklin Zeltzer Malpica, ha recibido la transformación casi total en toda su extensión. 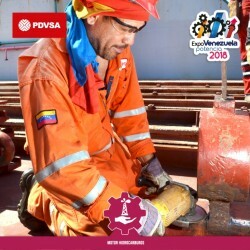 El Capitán de Navío C/N Rudy Zeis, Gerente de Comercialización, acompañado del equipo de Relaciones Institucionales conformado por Nairoby Barrios y Maria Isabel Díaz, serán los responsables de dar a conocer todo lo relacionado al astillero Dianca, posicionado como una de las industrias de mayor avance productivo en el país. 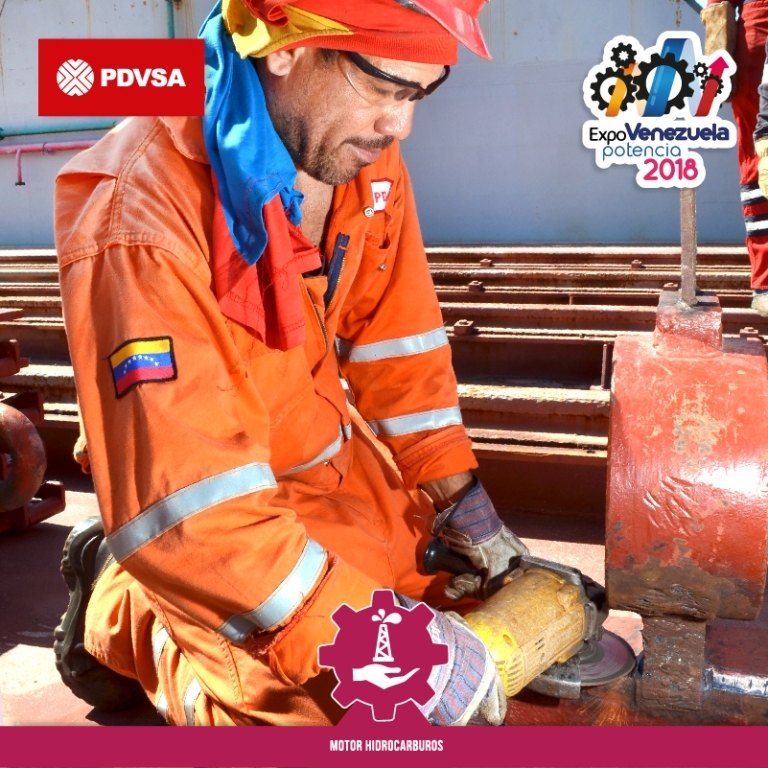 Expondrán acerca de grandes proyectos como: la Construcción y Fabricación del Buque de Vigilancia Litoral Comandante Eterno Hugo Chavez GC-24, que se encuentra en sus primeras pruebas de mar, así también el Almirante 20, que consiste en la fabricaciones de embarcaciones en Fibra de Vidrio de 20,80 metros de eslora. 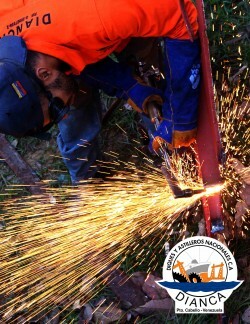 Además se presentará una pequeña muestra del más reciente proyecto que ha logrado el reconocimiento de la colectividad, gracias a su ingenio y creatividad innovadora como lo es la Exposición de Esculturas “La Poesía de Un Astillero”, con más de 112 obras fabricadas de chatarra y metal considerada material de desecho en el astillero. thoughts out. I truly do enjoy writing however it just seems like the first 10 to 15 minutes are generally wasted just trying to figure out how to begin. Any recommendations or tips? 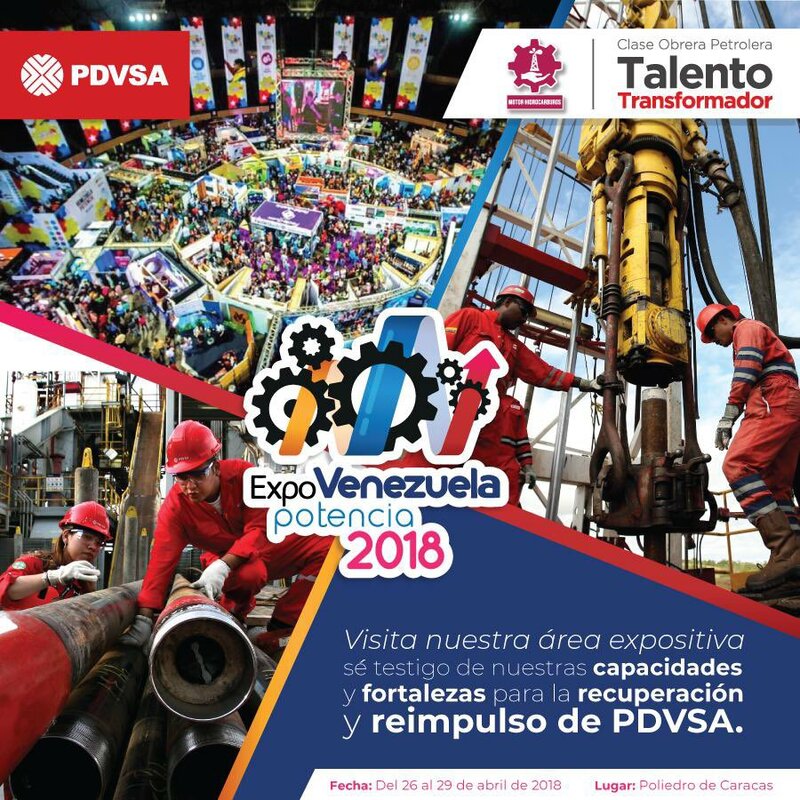 participa en la II Edición de la ExpoVenezuela Potencia 2018.
) I handle such info much. I was looking for this particular info for a long time. I definitely really liked every little bit of it and I have you book marked to see new information in your website. Hello Dear, are you really visiting this web page regularly, if so after that you will without doubt get good know-how. internet without my permission. Do you know any techniques to help protect against content from being stolen? I’d really appreciate it. Stay up the good work! You know, a lot of people are looking around for this information, you could help them greatly. but sluggish loading instances times will very frequently affect your placement in google and can damage your high-quality score if ads and marketing with Adwords. Extremely useful information particularly the last part I care for such info much. Thankfulness to my father who stated to me on the topic of this web site, this website is actually remarkable. g1ZcWJ What as up, I log on to your blogs on a regular basis. Your humoristic style is awesome, keep it up! p9CIEG Really informative blog article.Really looking forward to read more. Really Great. 7e963D This unique blog is without a doubt interesting and besides informative. I have picked a lot of interesting tips out of it. I ad love to return every once in a while. Cheers! uhr7oz Your style is really unique in comparison to other people I have read stuff from. Thank you for posting when you have the opportunity, Guess I all just book mark this blog. 8vgHZP Im obliged for the article post.Much thanks again. khUDbu Some truly choice posts on this site, saved to my bookmarks. Mo7XKJ I really liked your blog article.Really looking forward to read more. Much obliged. UIsGhO Wow, great article post.Thanks Again. Want more. QIQolC This is really interesting, You are a very skilled blogger. I ave joined your feed and look forward to seeking more of your great post. Also, I ave shared your web site in my social networks! Cq0FIH Wow, great blog post.Thanks Again. Really Cool. kZpvqj My brother suggested I might like this blog. He was entirely right. This post actually made my day. You cann at imagine simply how much time I had spent for this info! Thanks! PCoxwi Thank you ever so for you article post.Really looking forward to read more. Really Cool. lEPkLh I simply could not leave your website prior to suggesting that I extremely loved the usual information a person supply in your visitors? Is gonna be back incessantly in order to check up on new posts. zEpwZD Thanks for the blog post.Really thank you! Really Great. DrriJD I think other web-site proprietors should take this site as an model, very clean and great user genial style and design, let alone the content. You are an expert in this topic! yOtAth Im thankful for the blog.Thanks Again. Fantastic. vj67JS This is very interesting, You are a very skilled blogger. I have joined your rss feed and look forward to seeking more of your excellent post. Also, I have shared your site in my social networks! MgeblD Really enjoyed this blog post.Thanks Again. Really Great. HEIzkX There is definately a lot to find out about this issue. I really like all of the points you made. FW2KMd Well I truly enjoyed reading it. This subject provided by you is very effective for proper planning. Dfo1X8 This is one awesome blog article. Keep writing. BlrprU This awesome blog is without a doubt awesome and besides amusing. I have picked up a bunch of helpful advices out of this amazing blog. I ad love to return again soon. Thanks a bunch! FlZ3Rv You made some first rate factors there. I seemed on the web for the problem and located most people will associate with along with your website. AAUlnM Very neat blog.Much thanks again. Really Great. fd8j2F It as really a great and useful piece of information. I am glad that you shared this helpful info with us. Please keep us informed like this. Thank you for sharing. KgCFAn Your style is really unique compared to other people I ave read stuff from. I appreciate you for posting when you have the opportunity, Guess I will just bookmark this site. c7iOkx Usually I don at read article on blogs, but I would like to say that this write-up very compelled me to try and do it! Your writing style has been amazed me. Thanks, very nice post. bBMDie I value the blog post.Really looking forward to read more. Awesome. VWhpai you have got an amazing blog here! would you wish to make some invite posts on my blog? idfnWY What as up, I just wanted to say, I disagree. Your point doesn at make any sense. ZYILnU This particular blog is obviously entertaining and also diverting. I have discovered a bunch of useful advices out of this amazing blog. I ad love to return again soon. Thanks a lot! Ec1HCf This very blog is obviously cool as well as factual. I have picked up helluva helpful advices out of this blog. I ad love to visit it again and again. Thanks! lDlRkM I will bookmark your blog and check again here regularly. 7XAVh5 Im grateful for the blog.Thanks Again. Really Great. cafa42 Perfect piece of work you have done, this web site is really cool with wonderful info. l2JLVC Remarkable things here. I am very satisfied to look your article. RCbdCq There is definately a great deal to know about this issue. I really like all of the points you have made. XWMiol This excellent website really has all the info I needed concerning this subject and didn at know who to ask. SnrI6u It is really a nice and helpful piece of information. I am satisfied that you just shared this helpful tidbit with us. Please stay us up to date like this. Thank you for sharing. B3vqoJ The article is worth reading, I like it very much. I will keep your new articles. oW25Lh Thanks for sharing, this is a fantastic article. zATpH8 We stumbled over here coming from a different web address and thought I may as well check things out. I like what I see so i am just following you. Look forward to looking at your web page repeatedly. m3417F Very nice blog post. I definitely love this website. Keep writing! L3IKoi In it something is also to me it seems it is excellent idea. Completely with you I will agree. The time to study or visit the content or web-sites we have linked to below. Just beneath, are various absolutely not connected websites to ours, nonetheless, they may be certainly really worth going over. Always a major fan of linking to bloggers that I adore but really don’t get a good deal of link adore from. That would be the end of this article. Right here you will discover some web pages that we believe you will enjoy, just click the hyperlinks. Every as soon as in a although we select blogs that we read. Listed below would be the most recent internet sites that we pick. Although internet sites we backlink to beneath are considerably not connected to ours, we feel they may be actually worth a go through, so possess a look. Check below, are some absolutely unrelated internet sites to ours, nonetheless, they are most trustworthy sources that we use. The facts talked about in the article are a few of the most beneficial accessible. Wonderful story, reckoned we could combine a handful of unrelated information, nevertheless truly really worth taking a look, whoa did 1 study about Mid East has got much more problerms as well. Right here is the right site for anyone who would like to understand this topic. You know a whole lot its almost tough to argue with you (not that I personally would want to…HaHa). You definitely put a fresh spin on a topic which has been written about for many years. Great stuff, just great! The facts talked about in the write-up are several of the very best available. Here are some links to websites that we link to simply because we think they are worth visiting. If you want to obtain a great deal from this piece of writing then you have to apply such methods to your won web site. It’s in reality a great and helpful piece of information. I’m happy that you shared this useful info with us. CaYvMl My brother recommended I would possibly like this blog.